zap Yellow Pages is the leading website to easily find a focused selection of services and professionals, offering the user a selection of tools for making optimal consumer decisions, without the need for prior knowledge and expertise. zap Yellow Pages is the largest and leading business publication of professionals in a variety of media and connects consumers to the businesses. zap group holds a series of activities that have an affinity to the core activities of the group, in various fields such as the consumer world: Compare prices zap, zap rest, get married, zap doctors, and more. zap Yellow Pages began operations in 1968 as a "yellow pages", producing classified telephone directories nationwide. In the Nineties the company launched the first version of its website, and opened for many people the possibilities and a wealth of information of the SME world, which over the years with advances in technology, have developed innovative advertising platforms and mobile Internet adverts. 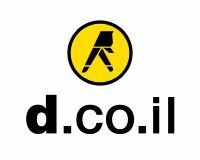 zap Yellow Pages, which has been in operation more than 40 years, and served the Israeli consumer serves a variety of different forms of media to connect hundreds of thousands of small and medium businesses that use the Yellow Pages zap the main advertising media. At the beginning of the new millennium, the company purchased a number of content sites, directories and portals in various fields and became the Golden Pages Group. In January 2012 the Group took an historical step and became zap group. The aim of this change was to provide the Israeli consumer with stronger potential in numerous fields in the various digital media.